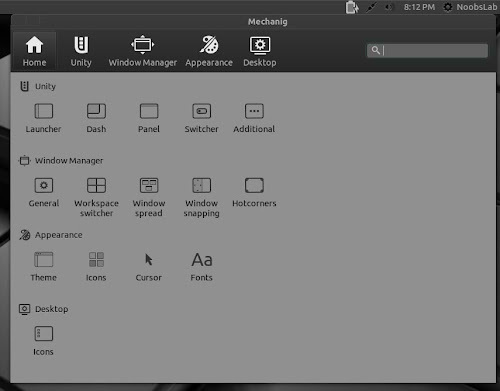 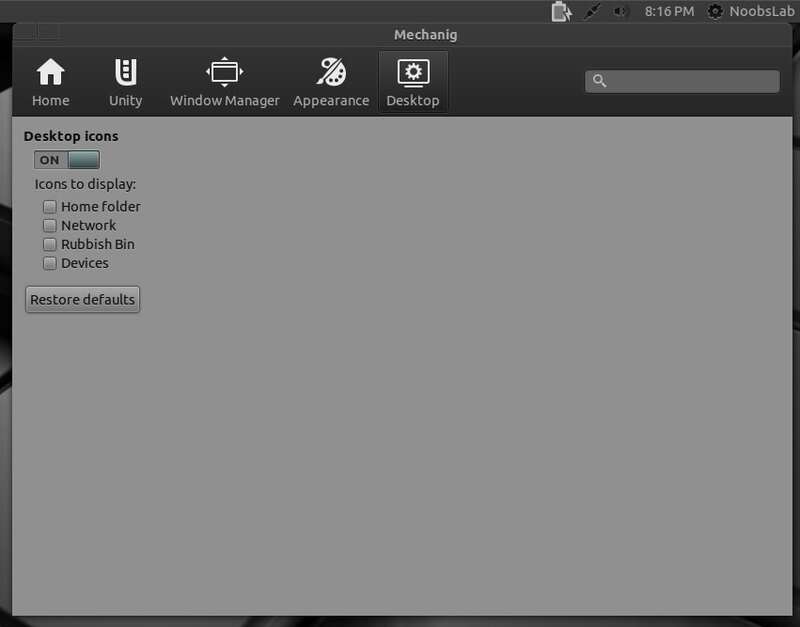 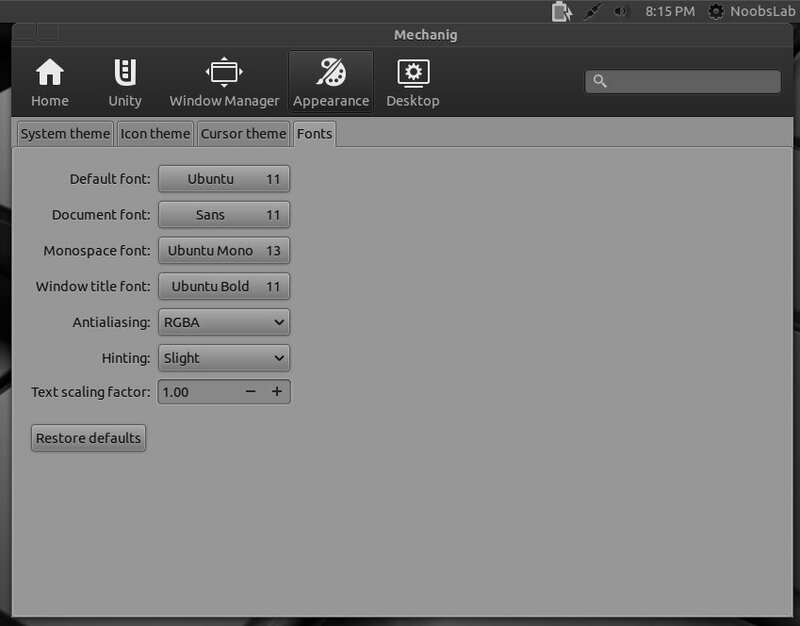 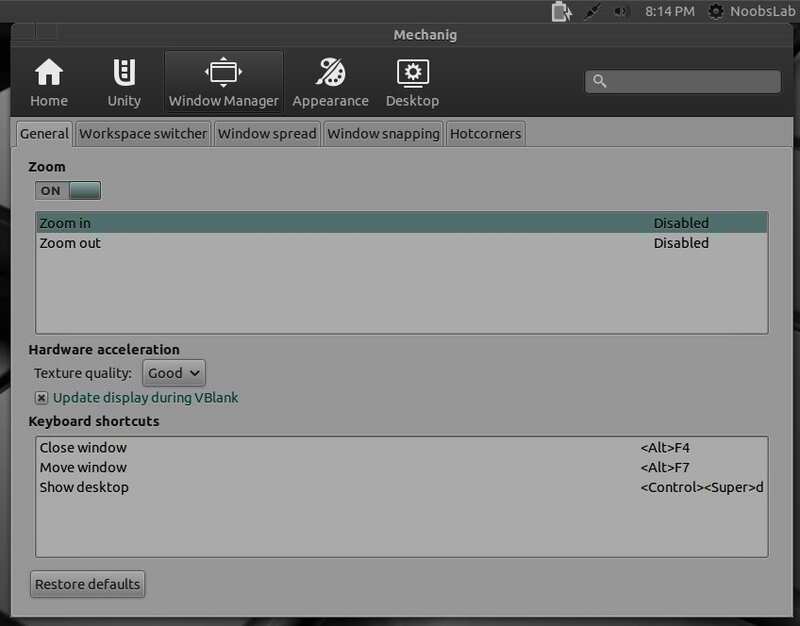 Mechanig is new Unity customization tool, it is just dived in Ubuntu sea sometime ago. 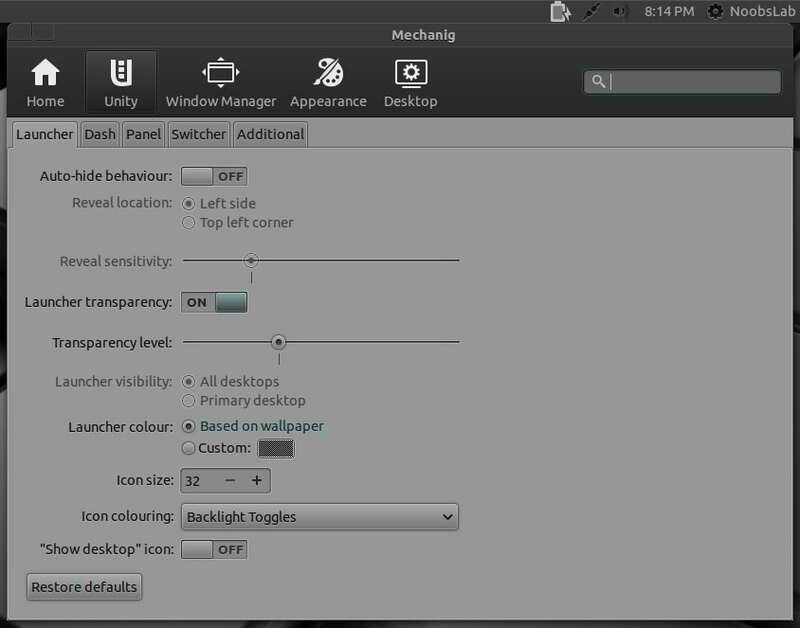 Mechanig is Unity configuration tool that aims to expose all the most needed Unity, Compiz, Appearance and Desktop settings in one interface to rule them all. Currently mechanig is under development, there is no stable version released, So you shouldn't expect everything perfect from this tool but you will get daily builds with some new fixes. As experienced with this tool there is bug in theme, cursors and icons section (themes, cursors and icons just don't show up, it means you can't change them from this tool - hope they will it soon), other advance settings are working perfectly.